We offer live load and trailer load pallet removal services. 100% of wood waste is reused or recycled. 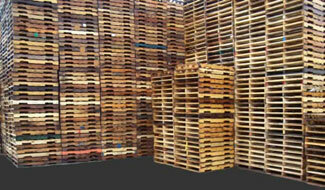 We sell grade A and grade B pallets by the box truck load or by full trailer loads. Inquire for pricing.